Spider-Man 4 Delayed, Could Warcraft Be Next? Filming on Spider-Man 4 has been pushed back indefinitely, a potential double-whammy for gamers because of speculation that the delay could affect the production of Sam Raimi's Warcraft film. The hearts of gamers everywhere went all a-flutter when it was announced last summer that Sam Raimi, best known as the sidekick of superhero and all-around awesome guy Bruce Campbell, had signed on to direct a movie based on the Warcraft franchise. 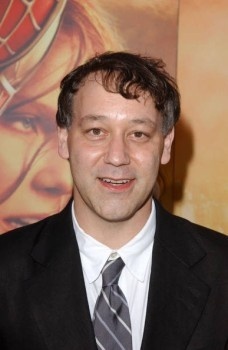 Raimi, who despite spending his life in Campbell's shadow has some movie industry experience of his own, said that he was "thrilled" to have the chance to work with Blizzard's most famous game world, which he described as a "fantastic, action-packed story." But problems in one of Raimi's other projects may spell trouble for the planned film. According to a Deadline.com report, Raimi "hated" the script for Spider-Man 4, so now Sony is scrambling to get a rewrite out of Alvin Sargent, who wrote the script for the second and third movies. In the meantime, production has ground to a halt and people who had signed up to work on the film are being told not to hold their breath waiting for it to start. "So, it's official. Spider-Man 4 has been pushed back several months, both the start of shooting and the release date," an email attributed to Senior Visual Effects Producer Josh R. Jaggars and sent out to members of the effects team said. "At this time, we have no official start date, so I would encourage all of you to look for other work." The delay is bad enough in itself for fans of the Spider-Man movies but possibly even worse is the potential impact on the planned Warcraft film. Raimi was expected to start work on it after finishing Spider-Man 4 but with that film now trapped in "production hiatus," the fate of Warcraft becomes somewhat less than clear. As IncGamers points out, depending on the nature and length of the delay it could free Raimi up to begin his new project even sooner, or it could result in a delay there, too. We'll keep an eye on things and update when we can.